You know that Christmas really is upon you when you decide to Get Organised. I put that in capital letters to help motivate me. And then when you decide to Get Organised, Things Go Horribly Wrong. I think you get the idea. With my parents arriving shortly I sorted out our spare room for them this morning with my best linen, plenty of coat hangers and a few little tasteful decorations. The bedspread is a gorgeous mulberry colour and I have some lovely purple Christmas lights that I wanted to drape around. Do you think I could find them? Like heck I could. Then I decided to remove all my nice table linen from the chest in the spare bedroom so that I don´t have to go disturbing my parents. What did I find? Well, the linen was where it was meant to be but I also found the remains of an enormous red wine stain on my lovely tablecloth. It´s not even in the middle where it could have been hidden by plates or candles…damn, that´s now doing its third round in the washing machine. Finally, the dishwasher made a very rude noise and appeared to have given up on me mid cycle. I foolishly opened the door to give it a good talking to, and out flooded a sea of dirty and very hot water. One of those days, you see. But all was not bad. In the midst of all this mayhem, sorry…Festive Fun… Big Man came in bearing a beautiful poinsettia for me and a parcel from Secret Santa. I also saw that Nia awarded me the Versatile Blogger Award, so a huge thank you to the lovely Nia. For my responses to this in a previous post, check this out. Tandy over at Lavender and Lime kindly organised this fun exchange of gifts, so thanks so much Tandy! My Secret Santa (you can´t hide your details from the Spanish Postal system!) is a lovely Blue Jellybean from Madrid – thanks Jellybean, I´m so pleased with my gifts! Look at my gorgeous book of Tapas recipes – there are some old favourites in there plus a load of new and inspiring ideas for me to try out next year. 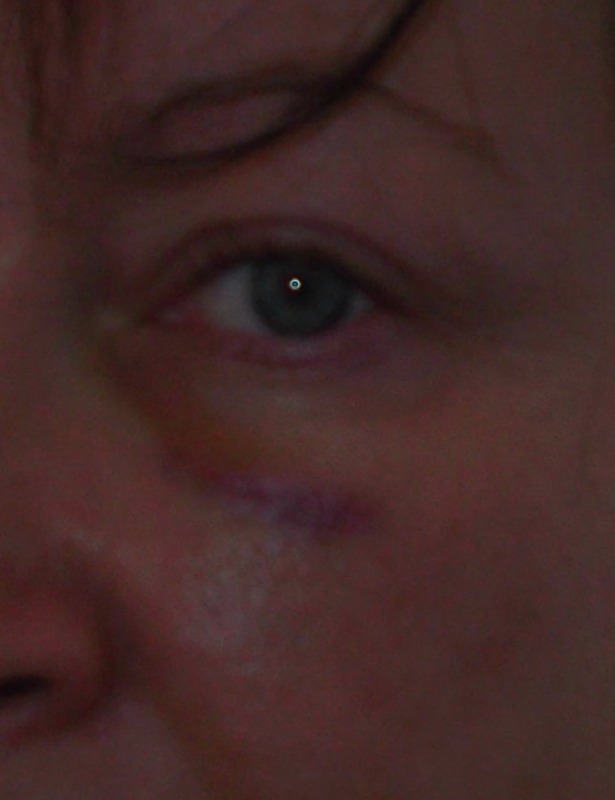 I´ve only managed to get a quick flick through it as I had to wrestle it off Big Man who was deciding what “we” (for “we”, read “me”) should try first. I also received some gorgeous decorations…which are very special as I ask Christmas visitors to buy me a new decoration for us to keep and remember them by. So perfect…my first gifts and I am a very, very lucky Chica indeed. Of course, while things were exploding and flooding all around me, I did have time to make a little bite to eat. Inspired by some Baked Brie recipes From the Bartolini Kitchens and Rufus´Food and Spirits Guide, I decided to do a simplified version with a Camembert which was so ripe it was about to take a walk all on its own! I unwrapped the very stinky camembert from its box and separated the plastic paper from the waxed paper which I wrapped around the cheese again. I put it back into the base of the box and baked for about 20mins in a hot oven. We ate it with bread sticks, and I put a few spoons of my plum compote in the top of the cheese. The strong taste of the cheese worked well with the cinnamon and vanilla notes in the plum and we quietly sipped a glass of vino Rosado whilst the dishwasher groaned and breathed its last breath. Guess what Santa might be buying tomorrow?! 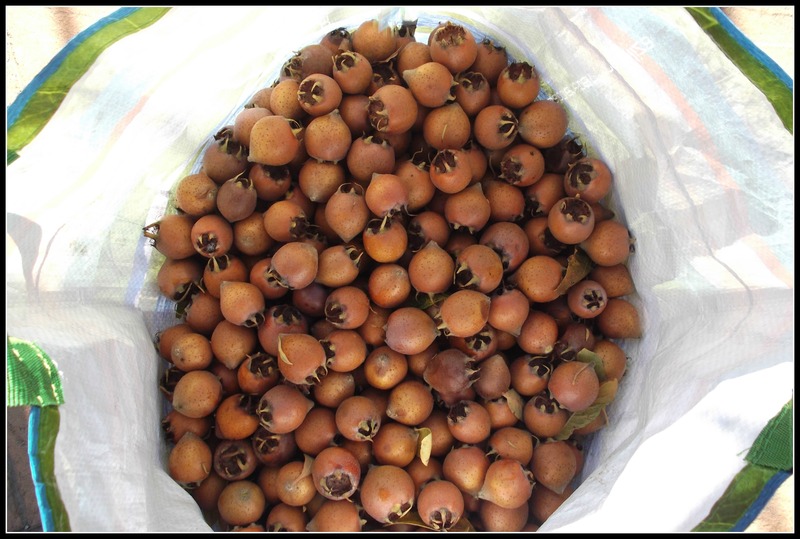 I´ve gone right off Medlars…. 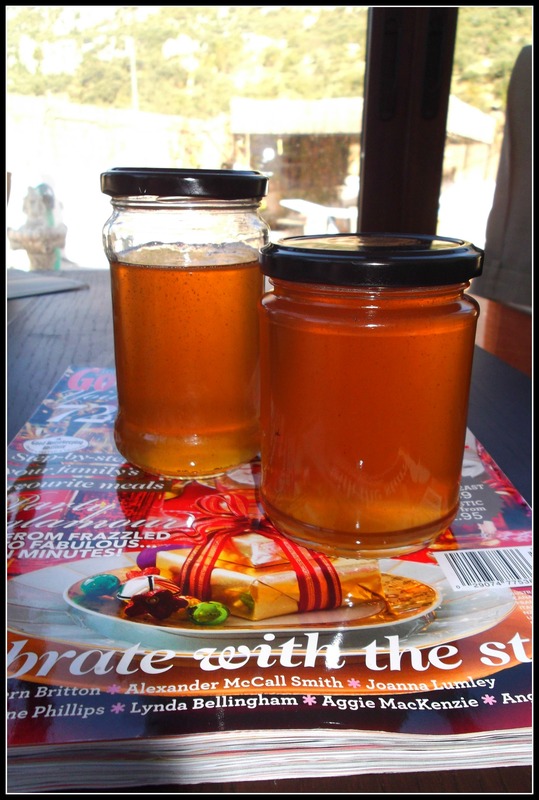 We understand that you have recently made Quince Jelly, something which the readers of Mediaevel Medlar Monthly would be most interested in reading about in more detail. A reporter will contact you shortly to arrange details of the interview. R: OK, Chica it is. The Medlar is not a widely known fruit, what do you know about it? 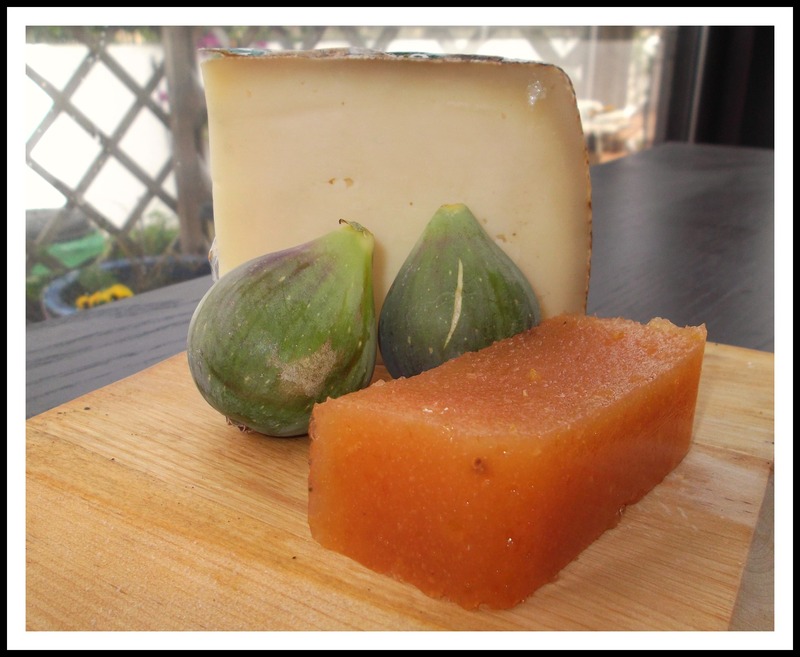 CA: Well, I suggest your readers check out this excellent post by Mad Dog, which gives some fantastic information about this fruit which was traditionally used to make fruit jellies and cheeses. R: How did you manage to get hold of your medlars then? CA: I have a lovely friend, Florence, who let me pick a whopping 8kgs of fruit from her tree for my first journey into medlar jelly making. 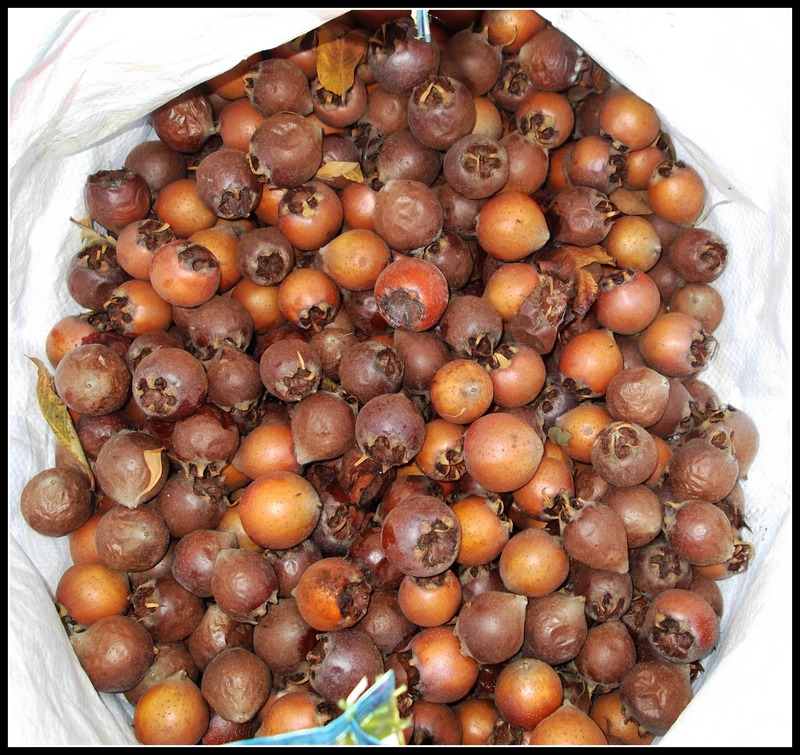 CA: Well, the fruit has to be “bletted” or almost left to rot before it´s edible. This is the fruit when we picked it. And this is the fruit about 2 weeks later. 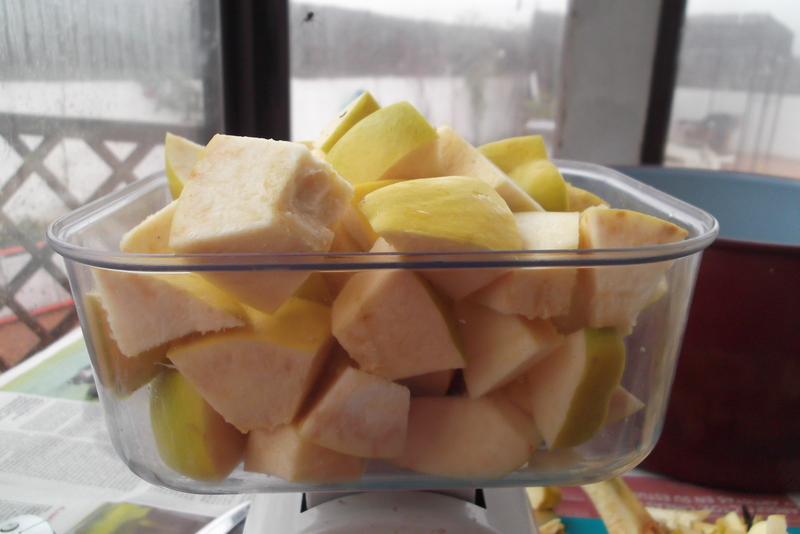 CA: I used about 5kgs of the fruit which was “rotten” enough, and washed it to remove dust and leaves. It tastes, as a fruit, of something like prunes and plums…a sweet, pleasant, earthy taste. 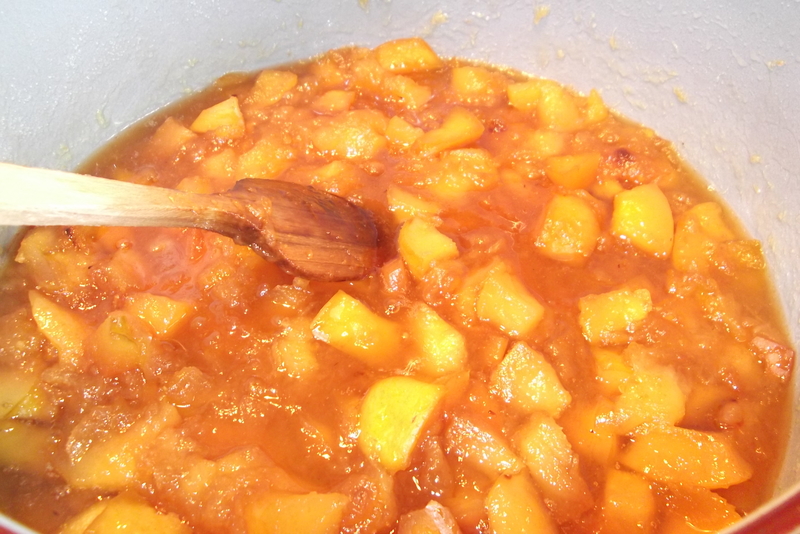 Then I added just enough water to cover the fruit and cooked it until it was mushy. R: How did you know how much water to add? CA: I searched the internet for recipes, which were all a little vague. In retrospect, I should probably have used more water. The reporter notes at this point that the subject of the interview is beginning to tremble slightly and mutter under her breath. R: Once they were “mushy”, what did you do? CA: The fruit has to be strained through jelly bags to extract the liquid which is then boiled with about two thirds of its weight in sugar until it reaches setting point. The interviewee is beginning now to behave like Chief Inspector Dreyfus in the Pink Panther films – shaking and twitching uncontrollably when the word Medlar (rather than Clouseau) is used. A glass of wine calms the situation down a little. 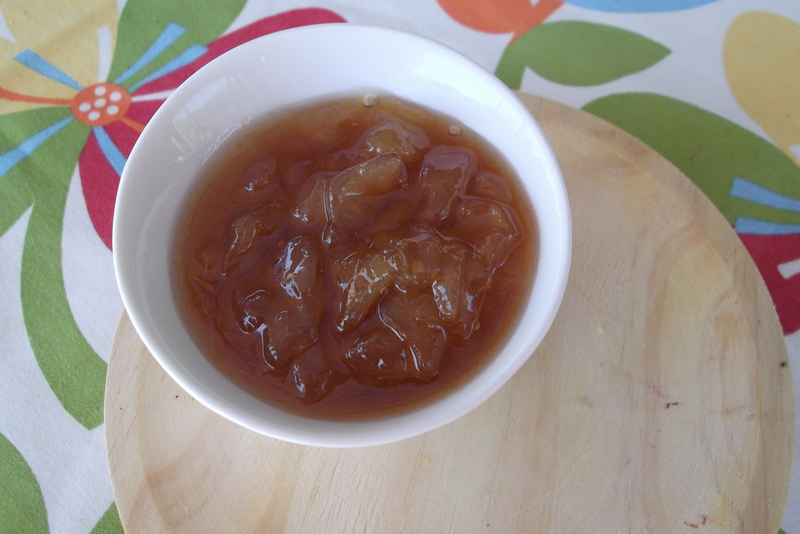 R: Is there any special kitchen equipment needed for making this jelly? CA: Well, you need a large jug to put the jelly strainer over. I went to get one out of my “despensa” and could not be bothered to get the step ladder, and tried to hook it down with a metal skewer. This resulted in a large wooden tray crashing onto my face and giving me a black eye. Almost a week later and it still hurts! CA: Well, it took me almost 48 hours to strain the juice from the pulp. CA: Not quite 2. I had envisioned inviting Roger over to take photos of my extensive stock of Amber hued jelly, but I don´t think I´ll bother now. R: Will you be doing this again then? At this point the interview was terminated as the interviewee collapsed into a hysterical heap clutching her eye and a large bottle of wine muttering “never again, never again”. Thank you very much for giving so generously of your time recently, particularly in your most delicate state of health. Whilst we wish you a speedy recovery, we do not feel that the tone of the interview will convey the message of the true beauty, flavour and versatility of the Medlar fruit and will not be publishing your interview. 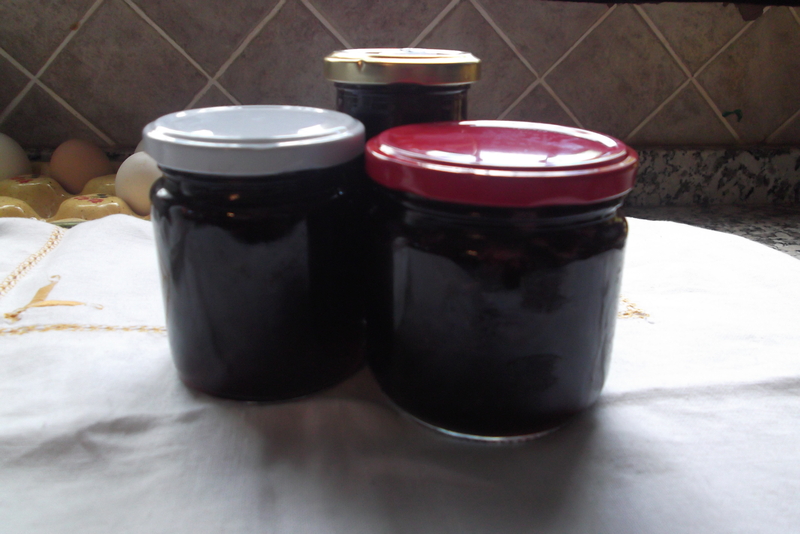 FOR SALE: Almost two jars of unset medlar jelly, offers over £500 per jar or will exchange for a small house or sports car. Serious buyers only please. Do you remember my beautiful plum tree I showed you back in the spring? No matter if you don´t. I knew back then from the enormous amount of blossom it had, following the rainiest winter for over 80 years in Andalucía, that we would have lots and lots of plums. Of course, we did and we´ve been eating and enjoying them, giving a lot away, and the chickens have thoroughly enjoyed pecking away at those that fell to the ground. A couple of weeka ago the plums really were coming to an end. The last few clinging on to the tree were looking a little sad and soft, so I decided to turn them into a kind of compôte (rather like a jam) to drizzle over my porridge, or oatmeal, in the winter months. It´s also delicious with ice cream! 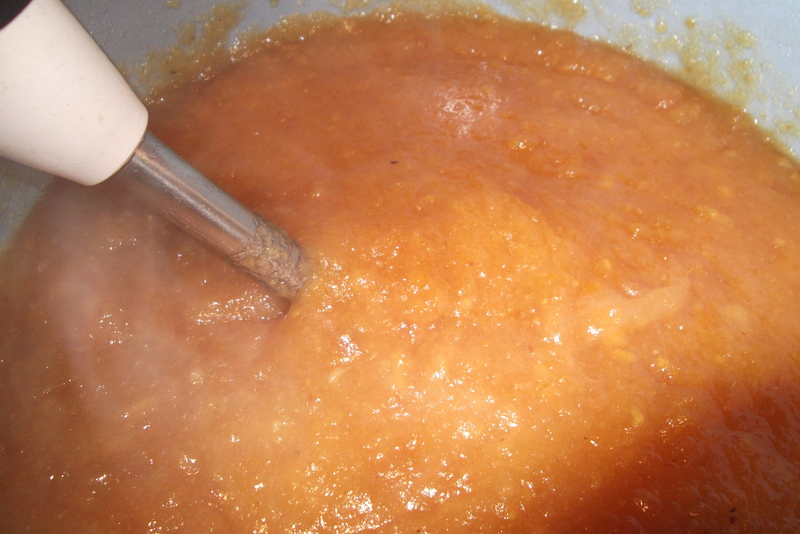 You can either peel and stone the plums first, or do as I did – boil and squish! 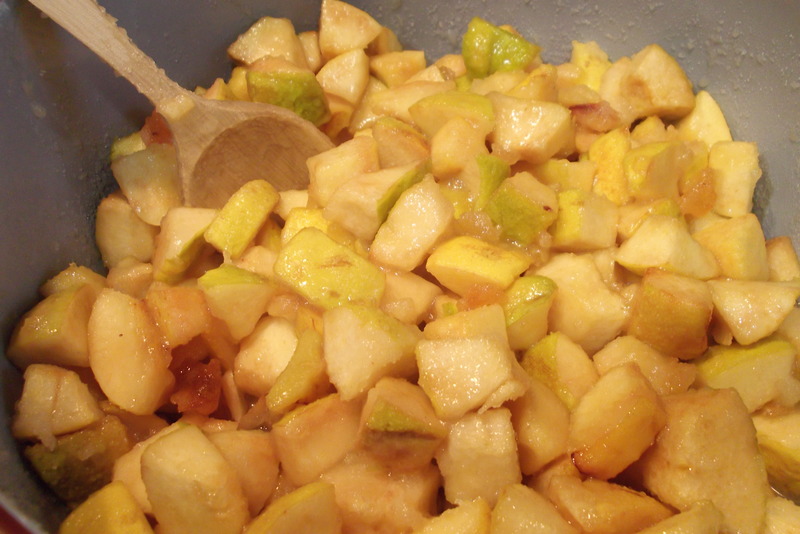 I put them in a large pot and on a gentle heat for about 30 minutes, by which time the skins had popped and the plums were soft. 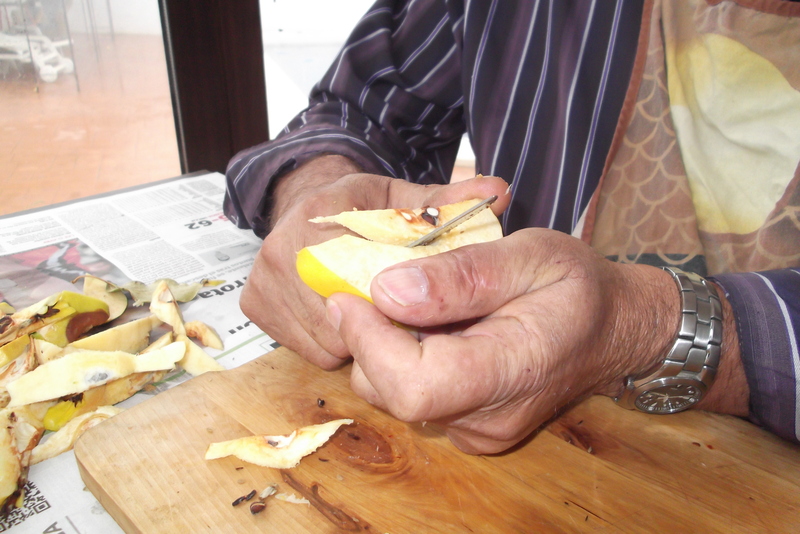 On with the kitchen gloves and I removed all the stones and skin, then passed the fruit through my trusty mouli. You could also use a stick or regular blender. 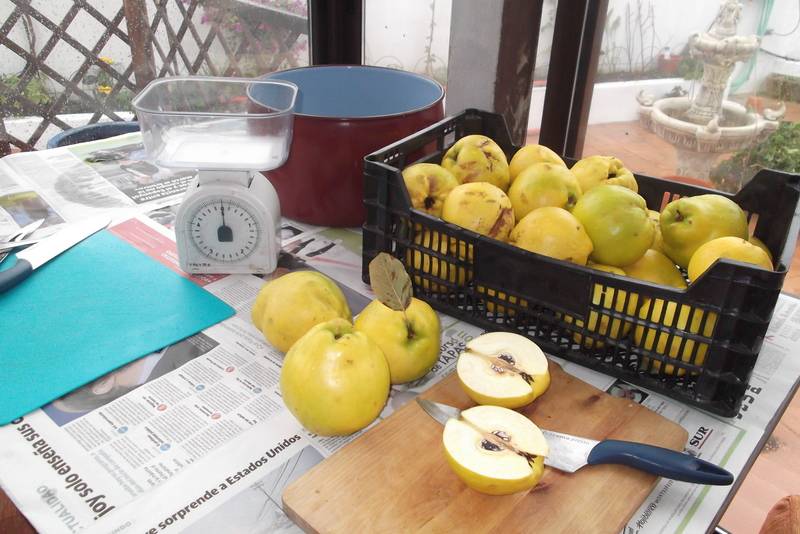 The prepared fruit weighed 2.3 kgs, so I added just under half the weight of sugar (1kg) and the juice of one lemon. 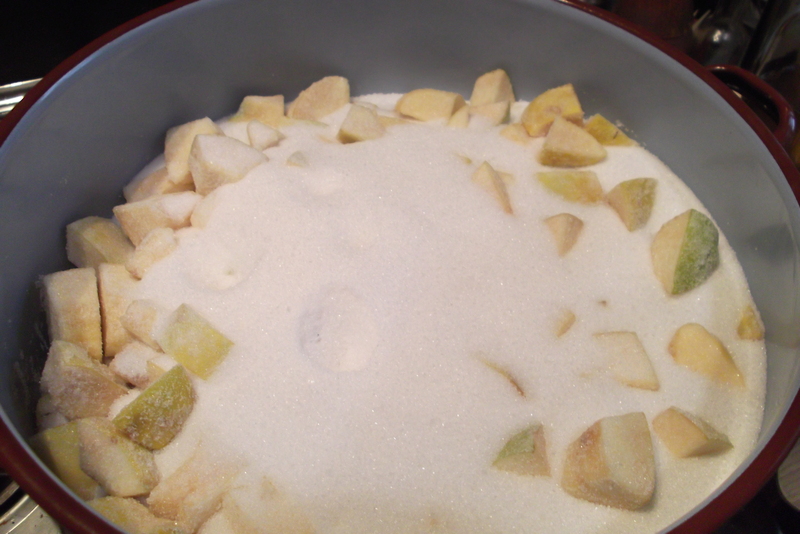 As this started to warm and the sugar dissolved, I added 2 teaspoons of vanilla essence and 2 sticks of cinnamon. I let it boil quite hard for 5 minutes, removed the cinnamon sticks then poured it into sterilised jars. 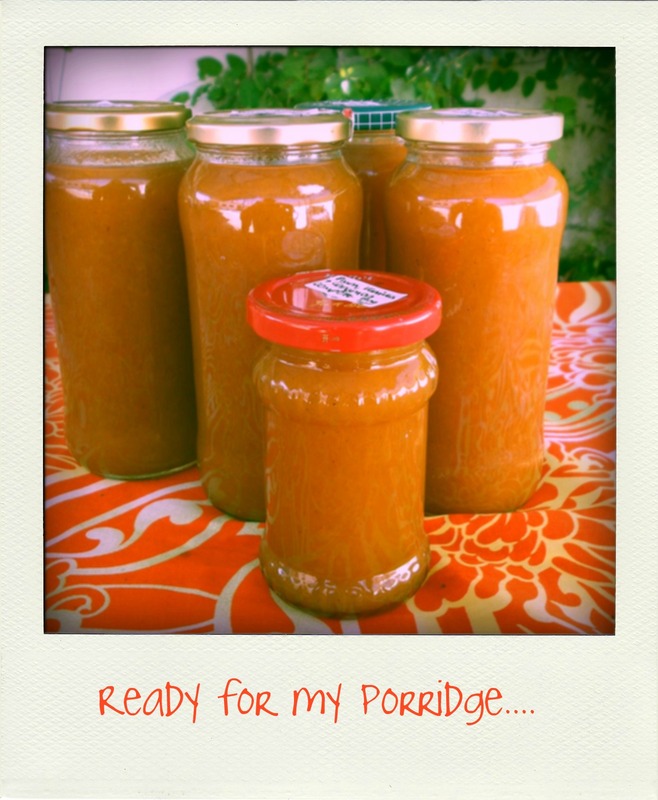 Now I´m ready for the cold weather and already anticipating my first bowl of porridge with Perfect Plum Compôte! And now, a confession. I made this last year too (minus the vanilla) and earlier this year I was making ragú for my pasta and fumbling around in my despensa (that´s a little Spanish larder) when I grabbed a jar of this instead of tomato conserva. Can you believe I didn´t notice the difference? We even ate the pasta, initially saying things along the lines of “gosh, you can really taste the sweetness of the tomatoes coming through”. 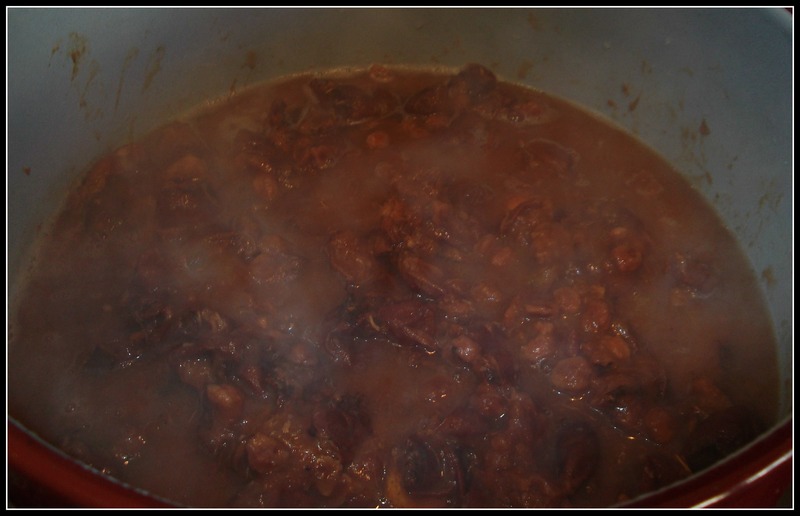 Eventually we decided that the taste was overly sweet (even the minced meat, garlic and red wine couldn´t compete) and the realization of what I had done dawned on me. 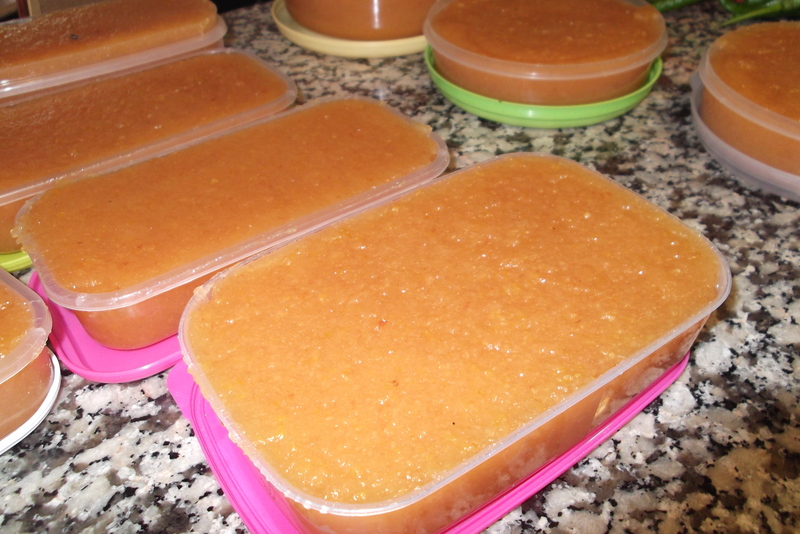 Not a recipe I´ll be repeating….still can´t believe that we ATE it!! !